On May 14th, Jeremy Penn’s latest art exhibition, "The Gaze, Deconstructing the Moment of Seduction" opened at L’Ermitage Beverly Hills. Penn’s exhibition, inspired by the Parisian 1950s culture, was an engaging and vibrant tribute to the Beverly Hills and Hollywood stimulating culture. The artwork’s colors, lively pinks, yellows, and blues, popped off the wall as Penn deliberately planned for L’Ermitage. The exhibition is one that asks guests to “deconstruct the portal to the inner soul through the eyes of his subject". 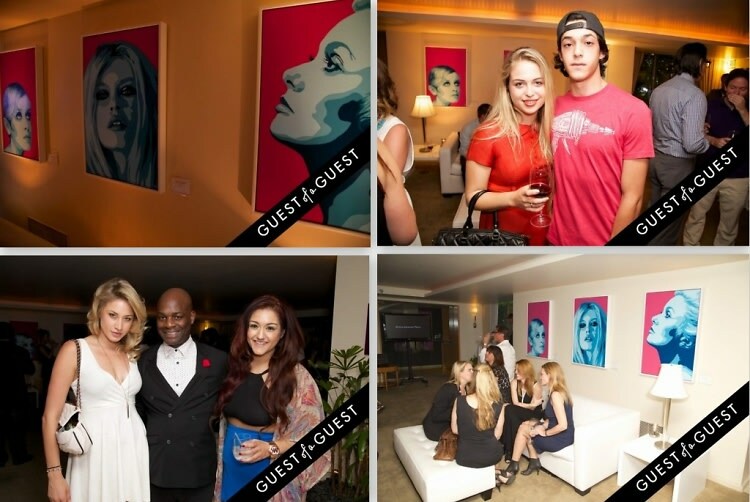 Even if you missed the opening, you can still check out the exhibition, which runs at the hotel through September 2014. Love the art? Lucky for you, it's available for sale through JL Art Advisory. Go HERE for more photos of the event by Eric A. Reid, and tag yourself and your friends!